La Laguna Volcanic Crater, Barlovento. Visit the astonishing Volcanic Crater of La Laguna in Barlovento, La Palma. The municipality of Barlovento shelters many craters and volcanic cones. Of all, we recommend La Laguna, located on the top of the municipality. 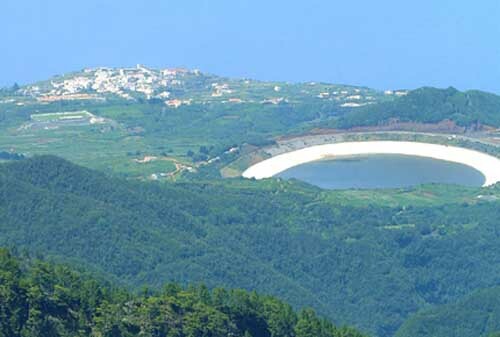 In the volcanic crater of La Laguna you might find the widest water reservoir of the La Palma with a large recreational complex equipped with a playground, a camping site, some picnic tables and other facilities.